Newland Communities, the country’s most prominent privately held residential developer, turned to Clairemont Communications to increase awareness of Wendell Falls, a new-home community situated in a relatively undeveloped section of Wake County. As part of a comprehensive communications strategy, Clairemont worked with Wendell Falls to plan a celebration with a barn-raising theme to commemorate the community’s first anniversary and bring prospective buyers on-site. Clairemont was tasked with securing local media and influencer attendance to help combat the perception that Wendell Falls is in a remote location far from downtown Raleigh. 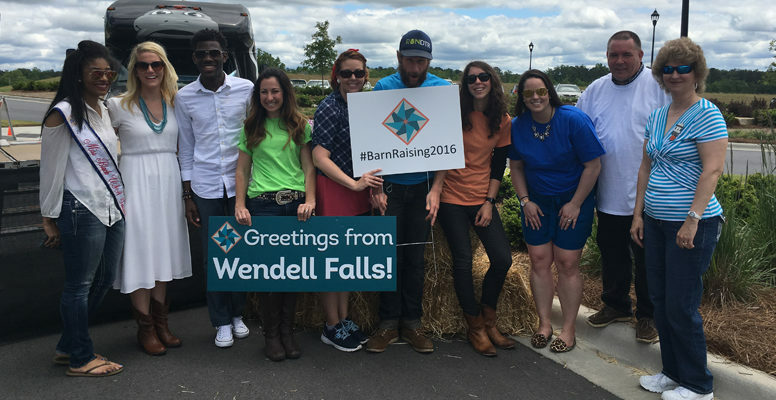 Our one main objective was to get key contacts to attend the Wendell Falls Barn Raising 2016 in order to introduce them to the location and atmosphere of the community, and serve as a building block for future stories. 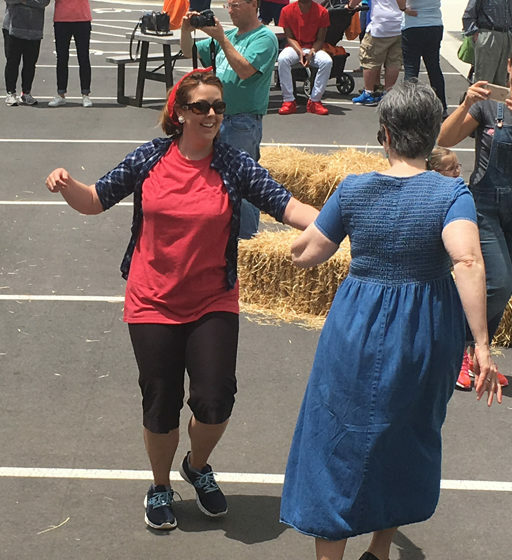 In order to attract media and influencers to the location, Clairemont conceptualized the Wendell Falls Hoedown Showdown. We invited TV, print and online personalities to bow to their partners, allemande left and do-si-do for a little dough to donate. 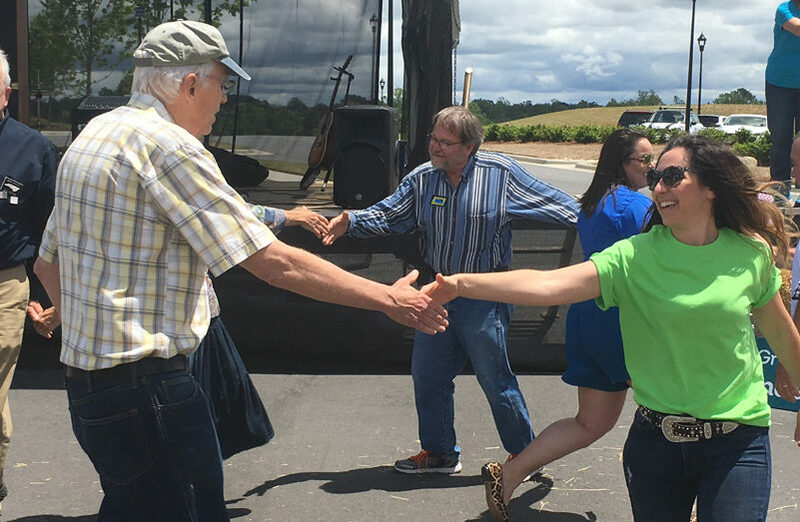 This celebrity square-dancing competition was part of the Wendell Falls Barn Raising and offered the winner $1,000 to donate to a charity of his or her choice. Clairemont ditched standard pitch for a more playful angle that would snag the busy reporter’s attention and put them in a dancing mood. Media received invitations that included a “wanted” poster and a cowboy hat, which one TV reporter even sported on her station’s morning show! The event was planned to be similar to the popular show “Dancing with the Stars;” it was active and engaging yet required minimal time from the participants outside of the actual event day. 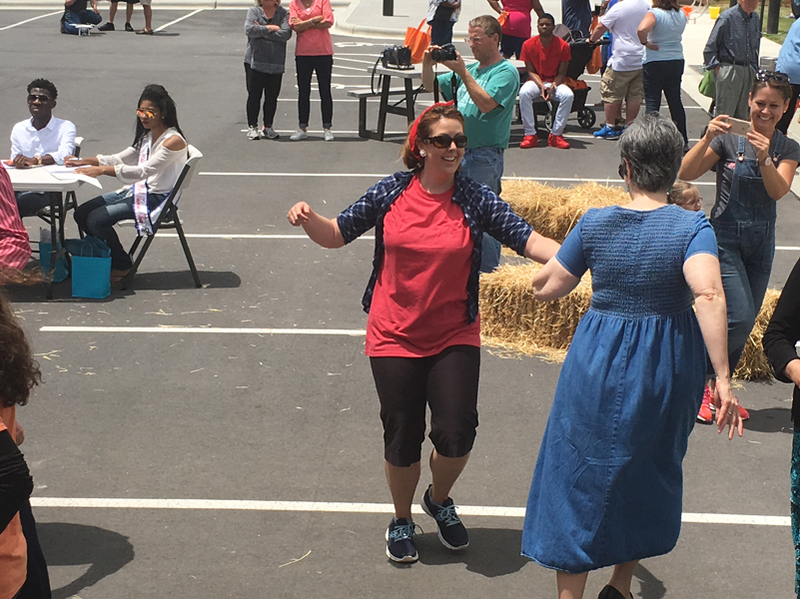 The influencers who danced at the event didn’t have to practice; rather, they learned via a fun crash course on the morning of the Hoedown. We recruited media and influencers to participate as either Hoedown Showdown dancers or judges, securing prominent media stories and/or mentions. Influencers shared the Barn Raising to approximately 52,000 followers on Twitter alone, helping to draw more than 1,000 attendees to this afternoon bash. Additionally, we used the (then) new Facebook Live feature for the first time for the community to broadcast the Hoedown Showdown to 503 viewers. The work Clairemont Communications conducted in partnership with Wendell Falls earned Best in Show for Creative Tactics and Best in Category for Creative Tactics from the North Carolina Public Relations Society of America. It also received a Silver Award in Media Events from the Raleigh Public Relations Society. We are proud that this campaign represents two of the 175 awards we’ve received since starting Clairemont in 2010. To read more about the work we do with clients, please visit the case study section of our blog.